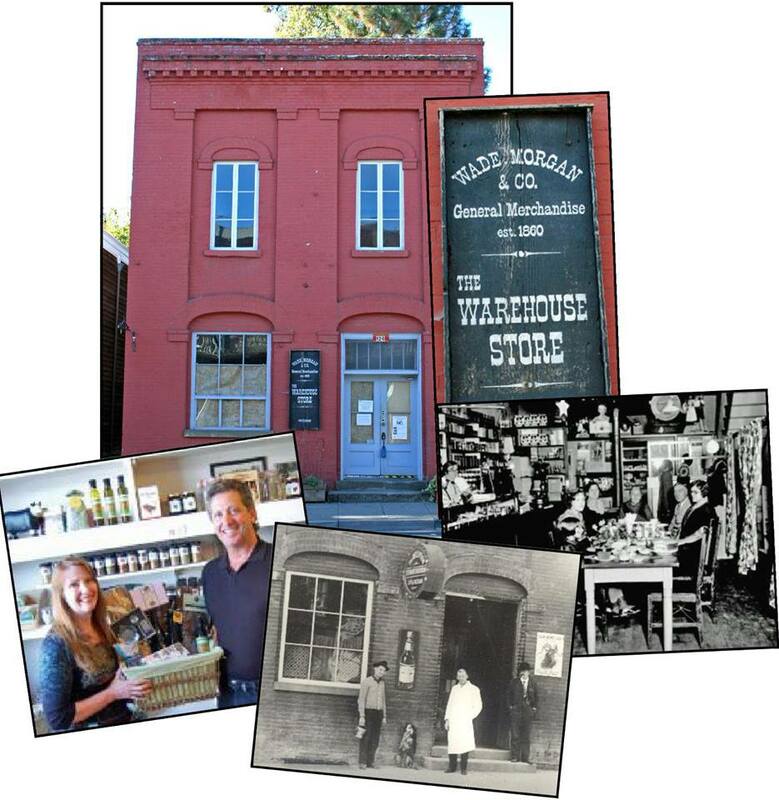 The Warehouse Store | Historic Jacksonville, Inc.
We wish the Jessers well with their new Ashland store, the Culinarium, although we bemoan our loss of the Jacksonville Mercantile. However, the building at 120 East California Street has seen a lot of reincarnations over the years. Built as a warehouse around 1861, it was later home to The Oregon Sentinel and the Luy and Keegan Saloon. In 1931, it was Amy’s Café—a combination of saloon, restaurant, market and bookstore. It was subsequently a grocery store, then a book store, before becoming the Mercantile. Who knows what it’s next incarnation will be!